What an Ivy League education can really do for you, your career, and your future. An Ivy League education is said to be the holy grail of qualifications. What is it that attaches this implicit connotation to these colleges? Industry leaders such as Microsoft’s Bill Gates and Paul Allen, Oracle’s Larry Ellison and Dell Computer’s Michael Dell have all been visionaries at the helm of major organizations. However, they all have one thing in common, they are all college drop-outs. Arguments such as this are given time and time again when the validity and value of education is called into question, whether it is a regular or Ivy League qualification. While yes, these men have built and run incredible empires without an Ivy League qualification, they are an anomaly in a prodigious pool of talent, all hungry for opportunity and success. What does an Ivy League education provide over any other? Does it result in a higher salary and more money over time? Is the return on investment worth the capital required to pursue the qualification? The real question is what value does the Ivy League grant a graduate that better positions them for their future? 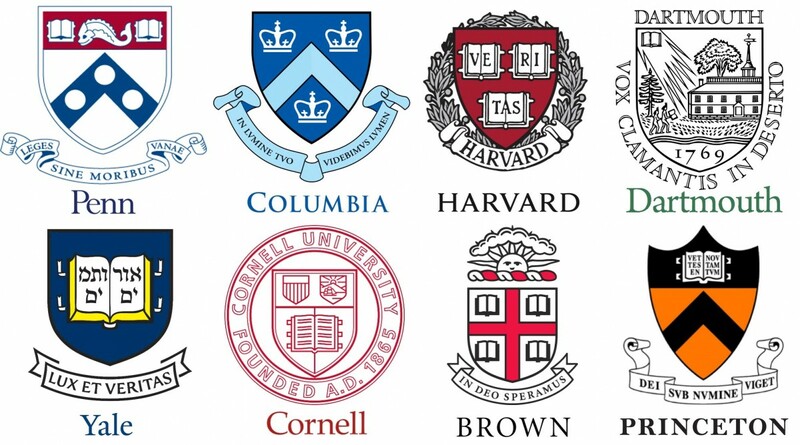 Firstly, while yes, the qualification and reputation attached to the school’s name make a large difference to an Ivy League graduate, there are numerous intangibles that can be attained at Ivy League schools. The opportunity to network with high performing individuals with illustrious contacts in and out of industry is constantly available. The ability to leverage these relationships and connections to open doors to future opportunities is prevalent within the Ivy League, primarily due to the caliber of contacts that can be made as opposed to other institutions. In addition, those with Ivy League schools on their resumes are certainly more eye-catching and appealing when being considered for opportunities. However, if it were to come about that a decision maker is coincidentally a fellow Ivy League graduate from the same school, this gives rise for a potential connection, and conversational opportunities that would not be afforded to those outside of the prestigious Ivy League circle. When looking at the long term success of Ivy League graduates as opposed to other graduates, it is clear that they have the ability to become more successful due to the opportunities presented to them early on. The argument can be made that this is not necessarily a product of where they gained their education, but due to their propensity to excel regardless of their surroundings. Ivy League schools only select the best of the best to attend their institutions, meaning these students are already more inclined to become successful regardless of where they receive their qualification. This is a logical argument however, success does not hinge on education and opportunity alone. Opportunities are not often presented on their own, they must be created, which is something that Ivy League schools not only provide, but encourage by providing the foundational platforms needed for these to occur. As stated earlier, it is the key networking aspects that are intangibly available within the Ivy League that a large deal of value can be derived from. The future is the predominant reason why one would choose to pursue an Ivy League education. How does being an Ivy League graduate weigh in on one’s future? The answer to this question can vary greatly from person to person depending on each individual’s personal situation, goals and aspirations. One thing that remains constant, is the immense value and benefits that can be attributed to joining the elite circle of Ivy League. Ivy League schools have over time nurtured and developed an intricate network of alumni whose influence goes beyond reputation alone. The true value that an Ivy League school can provide is its people. Not in the sense of networking opportunities alone, but the bond that is present between fellow alumni. Earlier in this article this was briefly touched upon, if an opportunity were to be available to an Ivy League graduate by a fellow Ivy league alum the candidate would be advantageously positioned. Looking at this on a deeper level, the Ivy League bond can predicate many relationships. The aforementioned bond is particularly evident when looking outside of the United States. Exploring international opportunities is not uncommon for many, and a great way to garnish one’s reputation. However, international opportunity creation is an entirely different playing field. The competition is fierce, cultures, values and customs are different and the ease of familiarity is quick to dissipate. Most in these positions will capitalize on the opportunity to network with those they can connect with of similar background such as country, education or industry. Those of the Ivy League have a large advantage in this area, as their networks allow them immediate and exclusive access into the upper echelons of industries and societies. This access does not even require a fellow alum to be present in the new country. Throughout the Ivy League inner circle, contact can be made with those that have high level relations without the need for a meeting or genuine connection. This is the value of the Ivy League bond which is not present in other institutions. It is the unspoken understanding that one another can be vouched for in true confidence, the reciprocity of which is the mechanism which drives these few forwards and excels them above their non-Ivy League counter parts. Money, reputation, stature are all values of an Ivy League education. However, the true value goes much deeper than this. The true value goes deeper than surface connections alone. It is the bond between those of the Ivy League, in particular, between those of the same Ivy League schools where the true value is created. The ability to have doors opened easily and introductions made simply by representing the same crest as another is an advantage which cannot be quantified. The future for an Ivy League achiever will remain bright due to not only their achievements, but their peers as well, driving each other forward and remaining at the forefront of excellence and success. A Management Consultant passionate about growth and entrepreneurship. Unabashed supporter of all things strategic that hold true promise of execution. A collection of articles, tips and tools related to entrepreneurship, startups, running your business and everything in between.